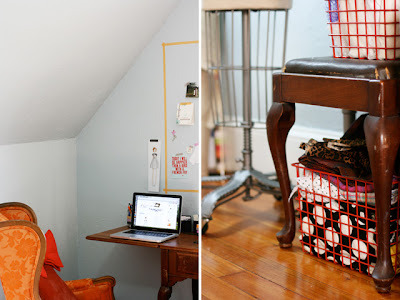 I am so excited to share with you my new series of blog posts called "Show Me Your Space". 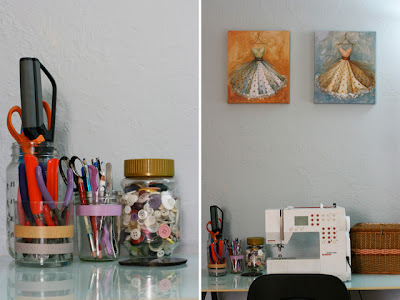 These posts will feature some of the most fabulous bloggers around & their work space. Alot of people assume that fashion & lifestyle bloggers make the big bucks & blog from a high-rise penthouse in Manhattan. Well for the majority of bloggers that is the farthest from truth you can get. Most of us blog in our pajamas from our kitchen table while watching Gossip Girl after work. That is the reality of most bloggers but just because we don't have a penthouse office doesn't mean that our "blogging office" isn't creative, inspiring & uniquely our own. So weekly I want to share with you some beautiful women & their "space" where they create, dream, work & inspire. And you will see that you aren't that much different from the ladies who inspire you. What about your space makes it "uniquely Holly"? My bows! I'm a big bow lover. And the biggest seller in my Etsy shop are my bow tie necklaces. 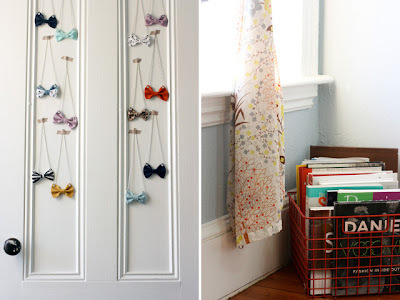 I have my bows hanging everywhere (even more then in the pictures here). 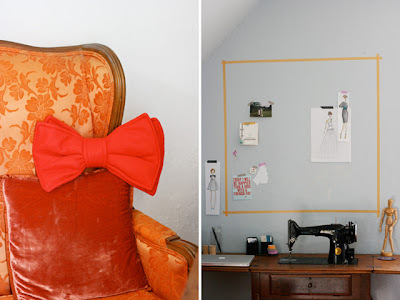 And that bow pillow on my chair is pretty adorable, too, if I do say so myself. 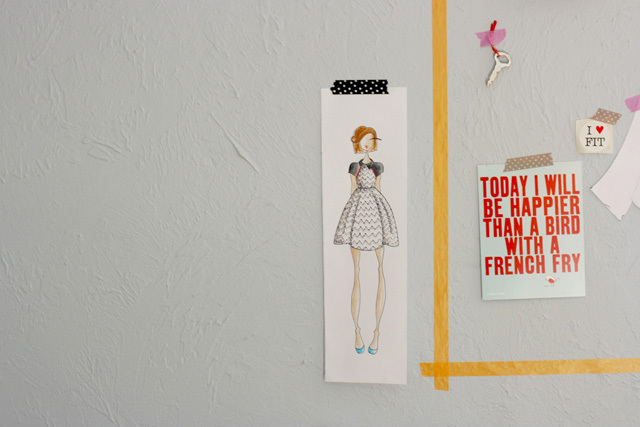 I've also been going through old sketches from my design school days, and hanging up some of my favorites. It reminds me of what I love to do. What is your favorite item in your space? Definitely the old Singer sewing machine table. It was my grandma's, and also the first machine that I learned to sew on. I don't actually sew on it anymore, I just use it as a desk. But it means so much to me that I am able to have it. I told you she is adorable right!?! Go check out some of her lifestyle & outfit inspiration on her blog, Holly Dolly. Also, to check out those cute bows she was talking about go visit her Etsy shop. A fun series. Thanks for sharing with us! Wow! I really like this new series of yours Holly! I am excited to do this thing in my own space. But I am still waiting for some final touches before we transfer to our new unit at Foresque Residences Hope that I can contribute some pictures of our space.